You are here: Home / christmas / Christmas EBOOK Reveal! 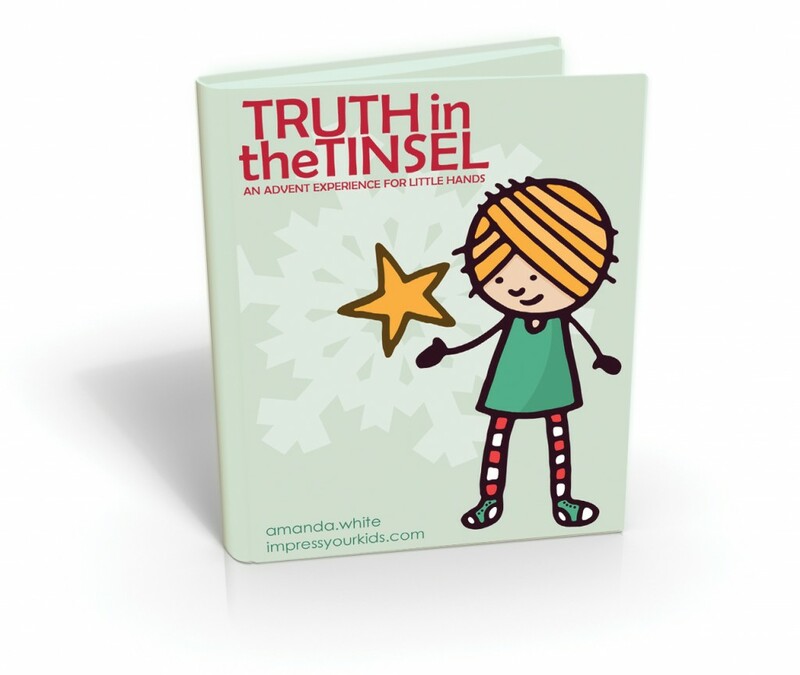 It’s called Truth in the Tinsel: An Advent Experience for Little Hands. Do you like it? Oh, I think it is just the most adorable thing EVER. My designer at Buzzhive (who also happens to be my little brother) did it and just WAIT till you see the inside. I think it might be even cuter than the outside! The more I’ve gotten into writing and finishing this book, the more excited I am about it. I know ebooks are a dime a dozen right now (and I’m a sucker for each of them!) but I really wrote this out of an authentic experience with my daughter and son. I actually wanted to write it last year, but as usual I got lazy or overwhelmed with life and put it on a back burner. When I was at Relevant I had a hard copy of the ebook printed out. I clutched it nervously in my hands and went to an ebook class with ebook-super-stars, Sarah Mae and Stephanie Langford. During the entire class I was emotional. I kept thinking, “Accch. I might have missed it. I might be too late. I might not have it together in time to promote it correctly or generate enough buzz.” And I felt sick because suddenly I realized God wanted me to do this book. I couldn’t keep it on my heart for another whole year! 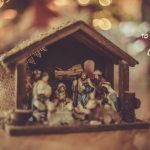 I literally have tears in my eyes now writing this post because I can clearly see kids and families using this book and getting to know Jesus this Christmas. And maybe this will be their year. THE YEAR. The one they understand that Jesus loves them. The year they “get it” on their level and ask Jesus to be their very best friend. And it’s not because the book is so incredibly well-crafted, designed or written. It’s because God’s Word is SO POWERFUL and ALIVE! The whole concept of the book is to read a portion of the Christmas Story directly from Scripture. Then make an ornament craft to go along with it. The talk about the event or the person in the story. It sounds simple but I know (and you do, too if you have kids) that when kids get to use their hands to create and they get to talk about something, it gets into them. I see these Advent activities in the book as kid-friendly ways to meditate on God’s Word. One generation commends your works to another; they tell of your mighty acts. They speak of the glorious splendor of your majesty— and I will meditate on your wonderful works. They tell of the power of your awesome works—and I will proclaim your great deeds. And that is the picture I see of this book! I see one generation telling another the awesome, mighty, glorious, majestic, wonderful work of Jesus’ birth on earth. And the second generation listening and meditating on those great deeds. The great news is that God’s Word always produces results. As we lead our children into meditating and understanding His great and mighty deeds, I know their hearts and lives will be changed! Would you help me a little? I’m crazy nervous about the timing of the book because it’s releasing the day after Thanksgiving (BLACK FRIDAY! Look out for an amazing intro price that day!) and that’s only a few days before December 1st, when Advent starts! 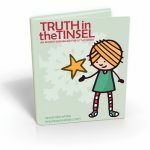 Will you like the Truth in the Tinsel Facebook page for me? As soon as I get enough LIKES I can get the custom URL (which is just cute & much easier to share!). I also need 20 bloggers with an appropriate audience (mom bloggers, craft-y bloggers, homeschool bloggers, ministry/church bloggers, etc.) who would be willing to blog about the book the week before (or after) Thanksgiving in exchange for a free copy. If you are interested, please email me at amanda at impressyourkids.com. Got ’em! *whew* THANK YOU! OK. I think that’s it. I could go on and on but if I do, I’d just have the whole book out here for your perusal! Let me know what you think about the ebook! I’d love to hear your input! Advent Craft: Day 14: Star of Wonder!